Hugo was praised as an anti-imperialist revolutionary. He had Venezuela pull out of the World Bank and the IMF. He was noted as the defacto leader leader of the leftist bloc of Latin American countries that sought to curb the U.S's influence in the region. Chávez's beneficial policies towards the poor were no doubt inspired by his own humble beginnings. He himself was born into dire poverty. His parents couldn't even afford to raise him, so he was sent to live with his grandparents. Chávez later joined the military and became a junior officer. It was there in the military that he came into contact with socialist ideology and quickly developed a mix of Latin American leftism, socialism and revolutionary nationalism. Now Venezuela as a South American country is unique for its oil wealth. Yet before Chávez's leadership, little of that wealth contributed to the general welfare of the poor and the working class. The political structure of Venezuela was beset by crony capitalism and nepotism. The social assets generated by the oil wealth went predominantly into the pockets of an elite few, leaving massive urban populations to live in barrios without basic infrastructure, water, electricity or health care. The early nineties were a time of strong neoliberalism in Latin America as well as across the globe. The Soviet Union had just collapsed and U.S. style capitalism seemed to be the predominant political and economic ideology around the world. Many Latin American countries adopted a privatized state and deregulated markets. In some of these countries the strong neoliberalism resulted in economic crisis, which led to a wave of anti-neoliberal resistance. Venezuela for example witnessed three days of riots in 1989 against government plans, urged by the IMF, to cut food, fuel subsidies, spending for education and health in order to privatize state assets and increase gas prices. The traditional parties and political structures in the country proved incapable of confronting the corrupt political systems that urged this process forward. This would later lead to drastic, political revolution. In 1992 with a group of Left-wing officers behind him, Chávez organized a coup against the existing government. This coup failed and Chávez was sent to jail. Yet his actions caught the imagination of the nation's working class and would not be forgotten. He was later pardoned in 1994. Then in 1998 he decided to operate through more formal channels, and won the presidential election at the age of 44 - making him the youngest president in Venezuelan history. This began the fourteen year "Bolivarian Revolution". The "Bolivarian Revolution" is named after Simón Bolívar, an early 19th-century Venezuelan and Latin American revolutionary leader, prominent in the Spanish American wars of independence in achieving the independence of most of northern South America from Spanish rule. The "Bolivarian Revolution" under Chávez oversaw vast infrastructure spending and the use of oil wealth (after a long bitter struggle) on health care and literacy programs for the poor (the country's oil wealth also increased dramatically under his tenure) CNN. He nationalized many key industries of the Venezuelan economy, such as the country's largest telecommunications industry, cement and steel companies, the majority of its electricity industry as well as many hotels, recreational and transportational facilities. He also made efforts to include the general public in politics that were once excluded to the highest echelons of society. In the "Bolivarian Revolution" Chávez increased educational access to the poor, redistributed land back to the country's aboriginal population, brought down infant mortality, increased life expectancies, decreased child malnutrition, increased pensions for the elderly, increased food production and consumption, reduced unemployment, made the average work week shorter, increased minimum wage, provided aid to the unemployed, decreased public debt, increased the GDP and helped Venezuela produce its own satellites for the first time in the country's history. 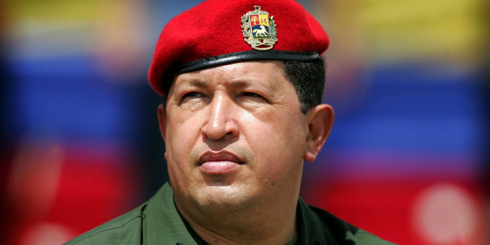 50 Truths about Hugo Chavez and the Bolivarian Revolution. However, Chávez's social revolution, like many revolutions, was not a nice, neat, peaceful process. Chávez left behind a legacy of repression against the politicians and private media who opposed him. Through decrees and a judiciary stacked in the president's favor, many political opponents found themselves barred from running in elections against the ruling party. From the very beginning of his term, in 1999, he set about rewriting the country's constitution. (Venezuela's New Constitution). This new constitution granted him sweeping powers. The introduction of a package of new decree laws in 2001 was met with angry protests and followed by a massive and violent strike in 2002. This culminated in a coup d’état run by military leaders sponsored by a business lobby in which Chávez was forced to resign. This coup was supported by Venezuela's elite as well as the United States government under George Bush. Yet this couldn't keep Chávez out of power for long. The interim government struggled to consolidate power. In 48 hours, with the help of the military, Chávez returned to power. Later in 2004, Chávez won a popular vote by the people to keep him in power following a nation wide referendum. In 2004 Chávez made an alliance with Cuba, swapping subsidized oil for Cuban doctors. Chávez and Castro also signed the founding document of the organization ALBA, which is an intergovernmental organization based on the ideas of social, political, and economic integration of the countries of Latin America and the Caribbean. The eleven member countries are Antigua and Barbuda, Bolivia, Cuba, Dominica, Ecuador, Grenada, Nicaragua, Saint Kitts and Nevis, Saint Lucia, Saint Vincent and the Grenadines and Venezuela. The agreement was proposed as an alternative to the Free Trade Area of the Americas (an agreement proposed by the United States). The Free Trade Area of the Americas was opposed by several countries and led to massive protest. In his time as president, he also got closer to other heads of state like Mahmoud Ahmadinejad of Iran, and bought advanced weaponry from Russia. CHAVEZ HELPS THE POOR IN THE U.S. In 2005 Chávez began a rather interesting program to provide reduced-priced heating oil for the impoverished people in the United States. The program was expanded in 2006 to include four of New York's five boroughs, providing 25 million gallons of fuel for low-income New Yorkers at 40% off the wholesale price. While the program obviously aided hundreds of thousands of poor New Yorkers, some say it was used as a political jab against Chávez’s then enemy, former U.S. President George W Bush. The "global south," developing countries, are disproportionately effected by climate change. Thus both Morales and Chávez had the following to say about the failure of the 2009 Copenhagen climate conference. Bolivian President Evo Morales said, "The budget of the United States is US$687 billion for defense. And for climate change, to save life, to save humanity, they only put up $10 billion. This is shameful." Hugo Chávez stated, "Do the rich think they can go to another planet when they've destroyed this one?" along with "If the climate were a bank, they would have bailed it out already." Evo Morales and Hugo Chávez maintained a close alliance and friendly rapport throughout the time they served their respective nations. Chávez provided substantial support for Morales’s initial election campaign in 2005, after which the Bolivian president launched many initiatives similar to those that distinguished Venezuela's Bolivarian Revolution: such as a dynamic literacy campaign, the nationalization of natural resources, land reforms, and other policies directed at social development. The two nations have played off one another's hopes for an integrated Latin America by vocally aligning themselves against U.S. foreign policy and economic intervention both regionally and worldwide. While Chávez's revolution was influential to leaders like Morales as well as others around the globe, it wasn't always popular with local Venezuelans. It has been calculated that during the revolution, 1.5 million people left the country . Towards the end of his administration, the country also experienced food and water shortages, high inflation rates and black outs. His popularity began to wane. In 2011 his popularity fell below 50% for the first time since 2004. Despite his many contributions to the poor, it is said that he left behind a wounded economy. He won the heart of the poor by spreading the wealth of Venezuela's oil assets. However, the economy ended up suffering from inefficiency and a lack of investment in sectors other than energy. Yet despite his waning popularity he announced his intentions to run for a fourth term in the elections of 2012. He was indeed reelected, and while his term began on January 10, 2013, he died of colon cancer less than two months later. Vice President, Nicolas Maduro, took over the presidential powers and duties for the remainder of Chávez's term until presidential elections were held. Today, Maduro continues to serve as the president of Venezuela. On October 14th 2014, when Morales was re-elected as president, he dedicated his victory to the late Hugo Chavez. (Venezuelan Analysis). So while his revolution wasn't perfect, Chávez is a noteworthy leader who attempted to put in place a unique political system that helped the working class people of Venezuela. He also resisted the policies of austerity encouraged by western free trade agreements that have wrecked havoc in countries like Jamaica. His statements about the twilight of the globe's current plutocracy are also certainly interesting and possibly prophetic in the century to come. Oliver Stone has made feature films about John F. Kennedy, Richard M. Nixon and George W. Bush. Now, in his 78 minute documentary "South of the Border," Stone has turned to depicting the life of Hugo Chávez. "People who are often demonized, like Nixon and Bush and Chávez and Castro, fascinate me," Mr. Stone said in an interview during a tour to promote the film, which portrays Mr. Chávez as a benevolent, generous, tolerant and courageous leader who has been unjustly maligned. Another Oliver Stone movie about the life of Hugo Chavez. Azzellini, Dario. "The Communal State: Communal Councils, Communes, and Workplace Democracy". North American Congress on Latin America. Retrieved 3 February 2014.
: Maria Delgado, Antonio (28 August 2014). "Venezuela agobiada por la fuga masiva de cerebros". El Nuevo Herald. Retrieved 28 August 2014.
: Aponte-Moreno, Marco; Lance Lattig. "Chavez: Rhetoric Made in Havana". World Policy Journal (Spring 2012). Retrieved 31 May 2012.